Among the remarkable pieces of Bhutanese History is the story of Padmasambhava and the arrival of Buddhism to the region. Padmasambhava, popularly known as Guru Rinpoche or Guru Drubchu in Bhutan, traveled to the Himalayan region in the 8th century. An excellent short essay on his travels can be found on about.com HERE. 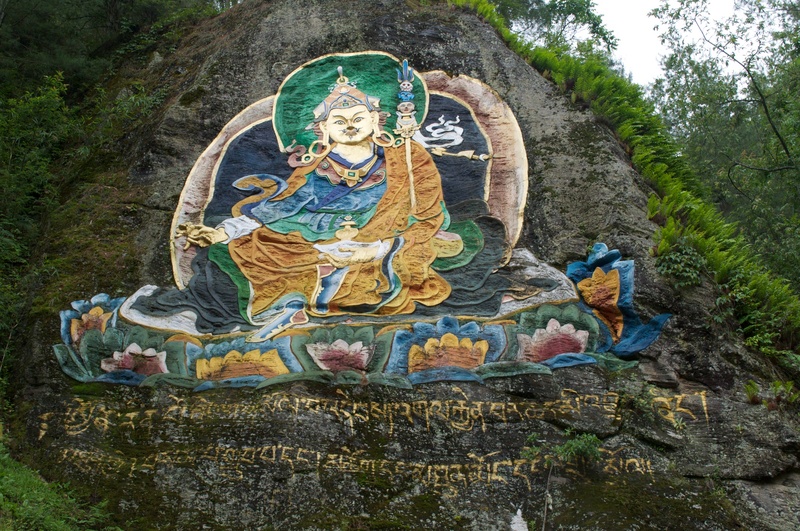 You will find, as we travel around Bhutan, paintings, sculptures, carvings, and stories about this legendary figure. As we make our way across the country, keep your eyes open for these signs of his travels and historical sites that honor his gift to Bhutan.